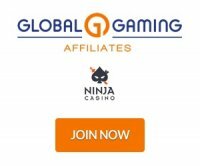 Maxi Affiliates is the affiliate program for a number of programs including Hippozino, Casino, MaxiPlay Casino and MrSuperPlay offering up to 50% revenue share. Affiliates looking to promote UK and EU facing online bingo and casino brands might want to check out Maxi Affiliates. The program allows affiliates to promote the Bid Bingo, Hippozino Casino, Bingozino, MaxiPlay Casino, Chit Chat Bingo, and MrSuperPlay brands. Targeted mainly at players in the UK and some countries in Europe, these brands feature good bonuses and outstanding casino games. Thanks to their features, these online casino and bingo brands are now enjoying high conversion and retention rates. This makes them ideal for affiliates who want to earn rewarding commissions. If they’re successful at referring players, affiliates can enjoy revenue share commissions of up to 50% of the revenue generated by the online casino and bingo brands. Affiliates can expect to be paid on the 25th of every month. This pay out covers the commissions they’ve earned from the month prior. The program currently supports payouts made through Bank Transfer, Electronic Transfer, Paypal, and Neteller. With that said, payouts can only be processed if the affiliates’ commissions reach the minimum requirement. For Bank Transfer (UK), the program requires the affiliates to have at least £200 in commissions. If they opted for Electronic Transfer, then affiliates will need to accumulate at least £500. For Paypal and Neteller, the program will only require a minimum of £100 in accumulated commissions. Not reaching the minimum requirement for payout also shouldn’t be an issue. The program will just defer payment for the next month or once the affiliates’ earnings reach the minimum requirement for his/her chosen payment method. Maxi Affiliates ensures its affiliate partners that they get all the marketing materials they’ll need. Once registered to the program, affiliates will have access to banners, mailers, and links that they can use on their affiliate sites or on social media. With the program’s affiliate platform provided for by MAP, affiliates will also have an easy time monitoring their campaigns. They’ll have access to real-time updates as well as request for detailed reports of their campaigns’ performance. And with the help of their affiliate managers, affiliates can improve their campaigns using the data provided for by the program’s monitoring system. The Bid Bingo, Bingozino, Chit Chat Bingo, MaxiPlay Casino, MrSuperPlay, and Hippozino brands are relatively new. With that said, these brands have features and offerings that rival their more established competitors. Players who register for accounts can expect generous bonuses on their first couple of deposits. In addition, some of these brands have free spins and other promotions that players can take advantage of. In terms of casino games, these brands feature titles from developers like NetEnt, Dragonfish, NextGen Gaming, Thunderkick, and more. These brands are generally targeted at players residing in the United Kingdom as well as in European countries like Sweden. Regulatory bodies like the UK Gambling Commission, the Gibraltar Gambling Commissioner, and the Malta Gaming Authority have issued licenses and regulating these online casino and bingo brands.